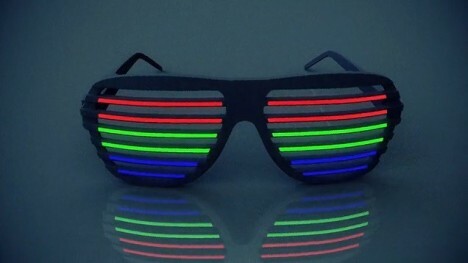 Some gadgets straddle the line between obnoxious and ingenious. 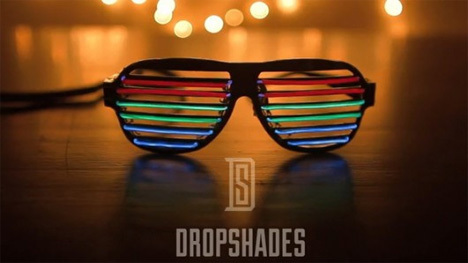 DropShades, a recent invention created by three frat-boy types with the help of Kickstarter, is a perfect example of this paradigm. Taking a cue from Kanye West, the creators took standard shutter-style sunglasses and amplified them, so to speak. The shutters are turned into colored LED lights, a microphone is embedded, and the received sound is sent through a processor which converts it to make the lights move in coordination with surrounding music. DropShades’ testing arena is an appropriate one. 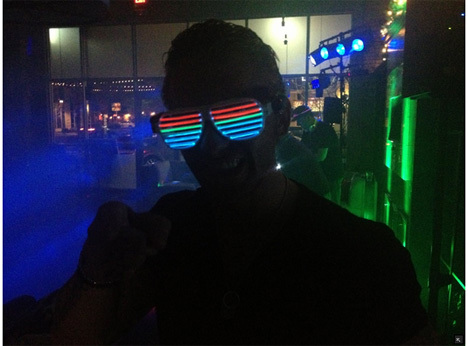 It was worn at parties, as the loud music invariably set the shades off, making the user a walking graphic equalizer. Crank up the Skrillex and hit the beer-pong table!